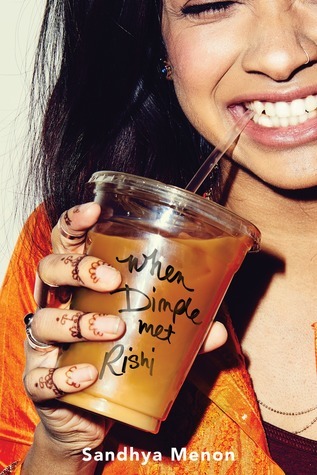 I finally read and reviewed When Dimple Met Rishi yesterday, and it’s one of the best books to come out of the We Need Diverse Books movement that I’ve read. The review itself is almost 2,000 words and is pretty critical of the book, but I do want to point out that not many YA books get to the point where I can seriously analyze them on a literary level. The books that I can pick apart like that are usually ones that I really enjoyed and saw a lot of beautiful or thought-provoking prose in. When Dimple Met Rishi’s just a sweet rom-com all around, full of smooth banter and lots of laughs, but it also talks about culture and tradition. The balance was perfect, and the writing elements were all there. On top of all that, Menon managed to develop the characters little by little and talk about issues like racism in a way that was sensitive and elegant. I did have some issues with it in terms of Dimple’s character consistency, the ending, and the logic of the computer science background, but overall, a great book. Usually, the Monday Musts serves as a great sampling of the best music, videos, TV shows, movies, and news stories I’ve come across in the time that I’ve been posting to this feature. The one time that it’s failed me so far was about a week ago when I was looking for an article on running, but my dad, who initially sent to me, was somehow able to find it. You can read it on Outside Online here! It’s one of the best, most eloquent pieces on the joys and pains of long-distance running that I’ve read so far.